The big picture: Lisa-Marie Neudert, a researcher with Oxford University’s Computational Propaganda Project, said researchers are working on powerful AI technologies with enormous potential "for good." But they also can have malicious uses — facial recognition employed for police purposes at a football stadium can also be used to repress the Uighur people of western China. At the WSJ, CNAS's Richard Fontaine and Kara Frederick wrote that not just China, but Egypt, Russia, Venezuela and Zimbabwe, too, are aggressively employing cameras and facial recognition systems to track their citizens. The Canadian academic Janice Gross Stein calls it a "rebordering" of the world into virtual and legal spheres of influence, one led by the U.S. and the other China. 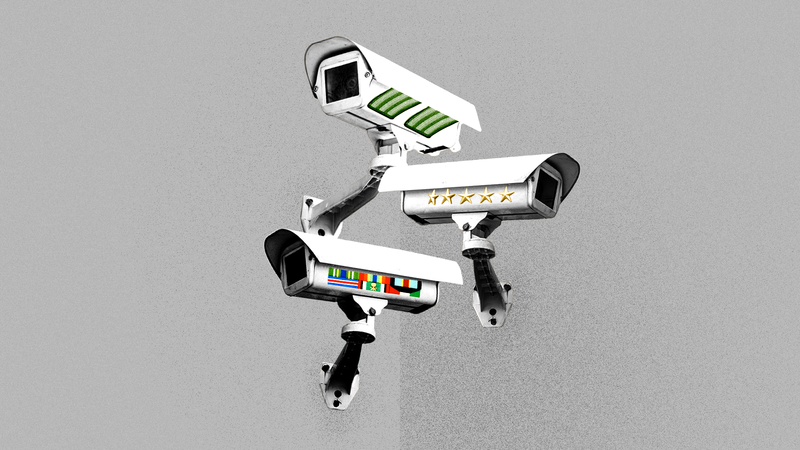 Beijing's surveillance system is an example of the "digital authoritarianism" through which it will rule its zone, according to the British analyst Nicholas Wright. "While there are a million possibilities that follow from the advent of such new technologies, one is that the line between truth and fiction, facts and propaganda, are further blurred," CNAS's Fontaine tells Axios. "It's worth reflecting that the proper functioning of liberal democracy depends on facts, truth, and arguments."